With Josh Brolin reportedly exiting talks to star in Jurassic World, clearly not believing that dinosaurs would pose a credible threat to Josh Brolin (and also money stuff), the Colin Trevorrow-directed sequel has moved on to finding another actor to play its intimidating male lead. And according to The Hollywood Reporter, it’s Chris Pratt, whose transformation from Parks And Recreation goofball to Guardians Of The Galaxy superhero has officially launched him into the strata of blockbuster stars—though THR cautions that talks are still in the “very early” stages, dependent on shooting schedules and so on. 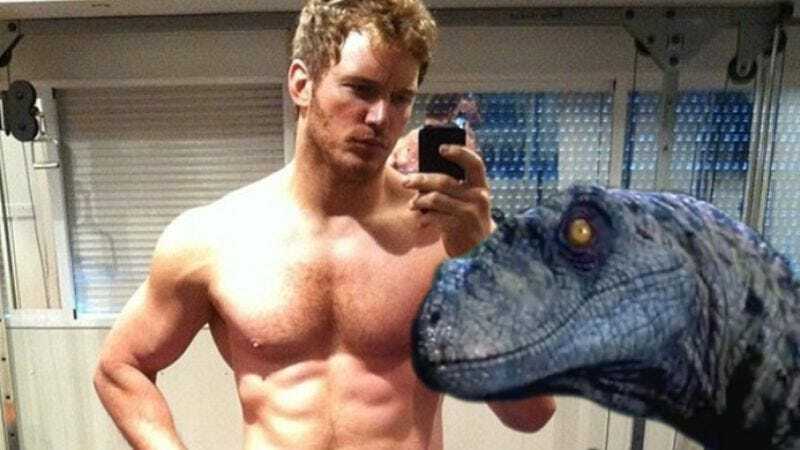 Nevertheless, Pratt’s casting makes a certain sense, as presumably Pratt could just flash his newly sculpted physique at the dinosaurs, causing them to retreat back to their island home and shame-eat a few goats.